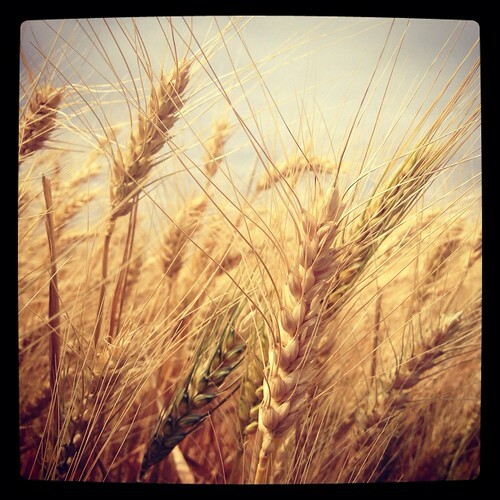 For those of you who don’t live in wheat country, I’m sorry. Truly, I am. There’s really not a better description than “Amber waves of grain.” Now there aren’t large bodies of water in these parts, but I’ve been to the ocean. The rolling and surging of the waves looks exactly like the wind blowing through a ripe wheat field. And the sound? It’s a rustle that can’t be replicated. 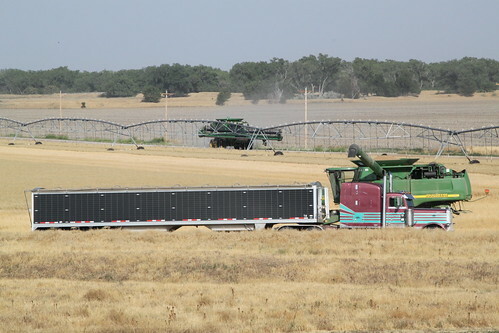 If you aren’t familiar with wheat harvest – or even if you are – you can learn everything you ever wanted to know (and see some pretty cool pictures) here. 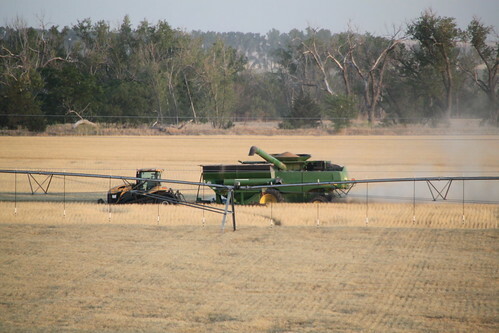 Harvest was going on in parts of the state when I left – my dad, brother and and brother-in-law were hard at it. But now, the harvest has reached my backyard – literally. This evening combines were rolling in fields east and south of our house. Our wonderful neighbor even gave my youngest son a ride in the combine. Apparently there was quite the discussion of machinery, both toy and life-size. 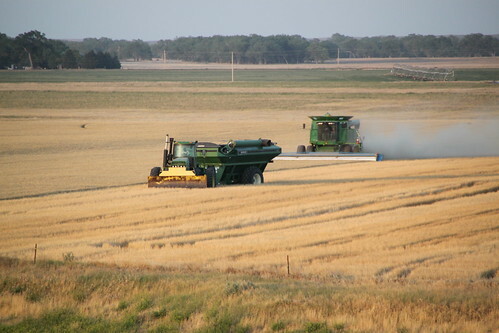 This full-on wheat harvest is something I’m glad I didn’t miss.